The sharp bevel and smooth surface of the needle minimizes discomfort for patients during applications. Available with standard and short bevels. 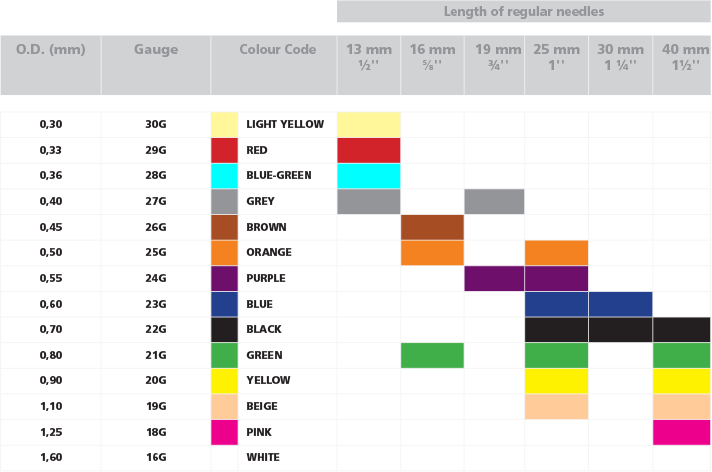 Colour-coded hubs for easy identification of needle gauge size.